Red Devil Shift Knob [8235S] - $10.99 : Mystic Crypt, the most unique, hard to find items at ghoulishly great prices! 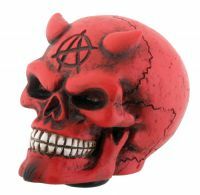 Red Devil Shift Knob. L: 3" x W: 2.0" x H: 2.5"inches. 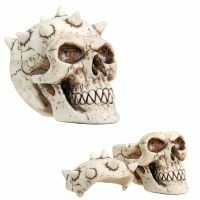 This great skull shifter knob has a great skull look with horn and anarchy sign. 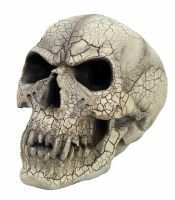 Made of a cold cast resin. Universal fit with rubber insert to fit most manual transmission shifters.